The good news is that your company’s growing. The bad news is that now you're at a crossroads when it comes to hiring. Do you bring full-time employees on board? Or outsource the work to independent contractors? Your business doesn’t have enough employees available to perform the work. You need someone on a short-term basis or with a specialized skill set that your company currently lacks. You’re looking for a long-term solution. You want to hire someone to place in/groom for management. You need someone who’s going to be loyal to the company and can help sustain business goals and objectives. If you're still not sure which kind of worker you need, consider this: Developing a pipeline of contractors can be a powerful strategy for growing your business. You can avoid the fixed overhead that comes with full-time employees. At the same time, a flexible workforce means you can say ‘yes’ to new opportunities and more work. Developing a pipeline of contractors can be a powerful strategy for growing your business. However, full-time employees mean you have people in-house with a long-term commitment to you and your business. Loyalty isn't always a priority for contractors. With employees, you also don't have to continually train staff on how you like work done. Your employees know you and what you expect – so there's more uptime and less energy spent on navigating a sometimes sharp learning curve. The bottom line? Before you make a move, you need to evaluate your unique situation to determine which option is best for you. Whatever you decide to do, it’s critical you classify workers correctly. 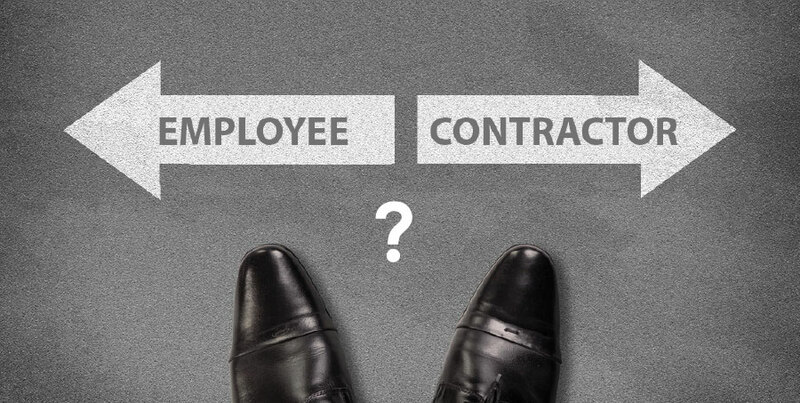 But determining who’s an employee vs. a contractor can be tricky. For instance, you’d think a worker’s classification as either an “employee” or “independent contractor” depends entirely on what your company and the worker decide. Even if you both agree on the relationship’s terms, an individual’s status as an independent contractor vs. an employee is actually determined by several other factors. CLICK HERE to download our free 20 point checklist guide on how to classify your workers as either contractors or employees. Essentially, if your company has the right to direct and control the way a person works – including the details of when, where and how the job is accomplished – he or she is an employee. On the other hand, if your company doesn’t manage how an individual works, except to accept or reject their deliverables, then that person is an independent contractor. In that case, your company does not have to withhold federal payroll taxes, such as Social Security taxes, federal disability taxes and federal income taxes, as you would for an employee. You may be thinking: Why does this all matter so much? Because if you don’t use the right classifications, the IRS can and will come after you with some hefty legal fines. If you get caught misclassifying an employee as an independent contractor, you’re also going to have to pay back taxes for federal and state income taxes, Social Security, Medicare and unemployment. Reimbursing the employee for wages you should have paid them under the Fair Labor Standards Act, including overtime and minimum wage. Providing benefits, such as health and retirement. Paying any misclassified injured workers' compensation benefits. Still confused about how to classify a worker? Your best bet is to consult with an experienced employment lawyer. This is especially true if your plan to bring in a team of independent contractors for your growing business. The U.S. Labor Department appears to be tightening its stance on worker classification, suggesting more companies should be designating workers as employees vs. independent contractors. So it’s in your best interest to connect with an attorney ahead of time to develop a policy for hiring independent contractors and also have him or her prepare work-for-hire contracts. Include a clause that as an independent contractor, the worker can enter into other work agreements not in conflict with yours. With the IRS estimating that 15% of workers in the U.S. are misclassified, you want to make sure you stand on firm legal ground – and that your relationship is properly documented so there are no doubts, should it be called into question. Now that you have a better understanding of independent contractors vs. employees, what are some important functions to consider when managing them? Salaried employees may not need to track time, unless you work in the world of “billable hours” (think legal and advertising). However, if you have contractors, whether off-site or on-site, they should have easy access to a tool that allows them to create cloud-based timesheets. If you’re like many business owners, you tolerate time tracking inefficiencies because the task of automating seems daunting. But the reality is that your people – whether contractors or employees – are your biggest cost. By accurately and efficiently tracking their time, you can save both time and money. For instance, with cloud-based timesheets, you can get real-time updates to review a worker’s most up-to-date timesheet on your desktop or mobile device. You can make any adjustments to a timesheet before approving it, like adding a lunch break or correcting a job code error. You might not think one little mistake is a big deal. But those mistakes add up – and cost you. According to the American Payroll Association, companies without an automated timekeeping process have up to an 8% payroll error rate. If that’s the case for your company, how much is it costing you? Sharing files with colleagues used to be a hassle. Remember that time you tried to send a 10MB video via email? In the past, you had few options to make the process easier. If email didn’t work, then you needed to buy web hosting space or burn files to a CD or thumb drive. Nowadays – thankfully – there are plenty of options when it comes to reliable file-sharing and cloud solutions. Whether you need to back up and store data, share documents, or collaborate on projects, these tools let you get to your files anywhere, anytime – while also giving you control over user access. 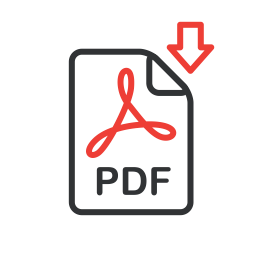 DocuWare electronically manages and shares documents, regardless of format or source. With one search, you can quickly locate a document and all related files, emails and scanned documents. It essentially works as your digital filing cabinet where you can edit and create workflows for your team. eFileCabinet is a cloud-based document-management solution for companies with remote workforces. Contractors can log in from any computer, anywhere, and have the same functionality whether working on site or in the field. There’s also a mobile app available with all the same features as the full site. Box is a cloud storage and file management solution for businesses of all sizes. It offers up to 10GB of free online storage, file sharing, collaboration and synchronization capabilities. Users can also be invited to upload, download and edit files with custom permissions. HyperOffice is an online collaboration service that lets you store and access files, tasks, contacts, links, documents and digital files. It can be set up as an intranet or extranet. It’s designed as a lower-priced alternative to tools like SharePoint and Microsoft Exchange. So you have a team of employees and contractors assembled. Some work in the office, others across the country, and still others in a totally different time zone. How do you keep everyone on the same page? HipChat, which provides small businesses with competitive pricing and plenty of features, including private and group chats, file sharing, secure guest access and unlimited file transfers. Slack offers an easy way to communicate internally with your team and an interface that lets you search entire conversations based on context. You can also integrate with document management tools like Google Docs and Dropbox. Yammer’s parent company is Microsoft, which means it’s easy to integrate and use with other Microsoft products. You can also easily create groups for different projects, search content, share and collaborate on documents and private or group message users. Glip is a conversation platform for teams to plan, share and organize work. It also offers text and video chat features between members, along with file sharing and task management. What about you? Do you manage a team of contractors and employees? What are your top tips and tools for keeping them engaged and productive? Where would you like us to send your free 20-point checklist PDF?